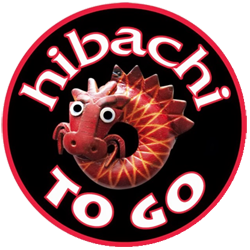 Hibachi To Go is a family friendly take-out, eat-in restaurant serving delicious and healthy Japanese style hibachi entrees, sushi and more. 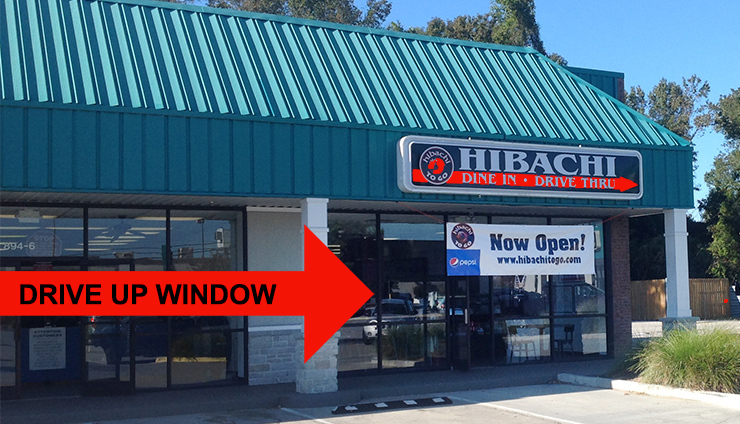 Two locations in Ogden and Hampstead. Kerr Ave. at Wilshire Blvd. 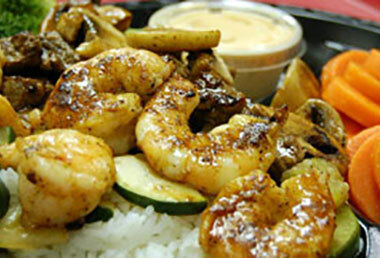 Hibachi To Go is a local, family-owned business serving made-to-order meals with the freshest ingredients every day. 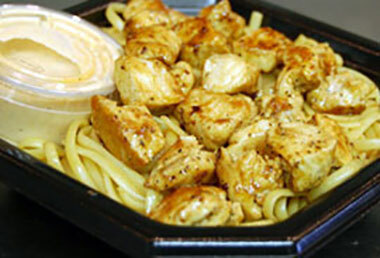 We invite you to try our menu items at either our Hampstead drive-thru location, where you can walk-up and dine using our outdoor seating area, take-out your meal, or call in and pick up your meal; or our Ogden restaurant with a comfortable dining room or take-out options, or in Midtown at our Kerr Road location with drive-up ordering and pick up. 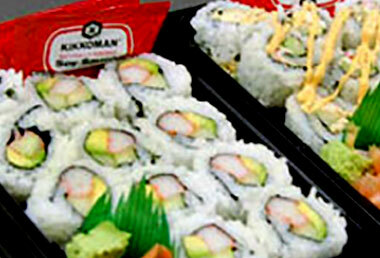 All our specialties, such as wontons, spring rolls, desserts, sushi and sauces are all made on-site. 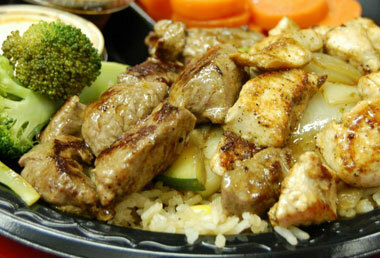 All hibachi meals are made-to -order fresh. 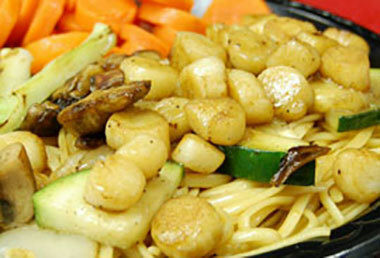 Bring the family to Hibachi To Go on Sunday and the kids (12 and under) eat FREE with an adult entree purchase all day. Make it a Sunday Family Tradition. 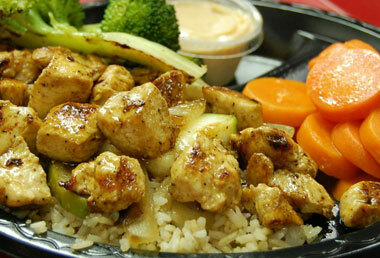 Our specials are prepared fresh daily from our hand-trimmed Ribeye Steak, Hibachi or Teriyaki Chicken, Fresh Fish, Tempura or Grilled Shrimp —even our signature Sweet & Spicy Chicken. Value priced at $4.99 available Monday-Saturday. There is a unique $4.99 Special offered every day. 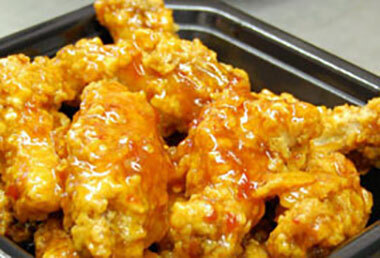 Check our Facebook Page for Today’s Special $4.99 Meal. 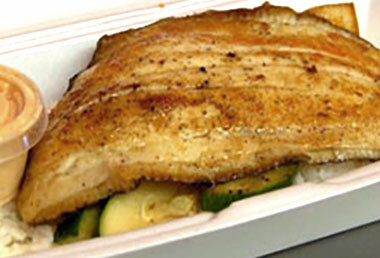 Click here to view full menus.